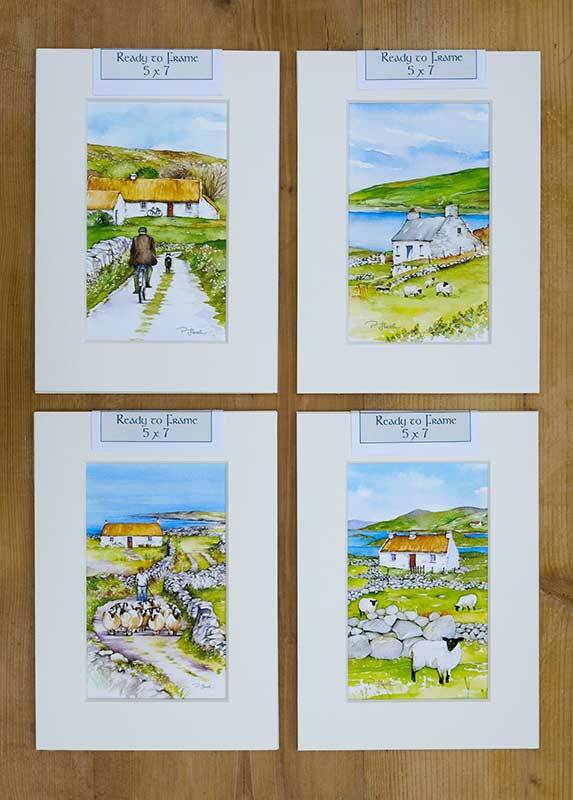 Ireland Art – 4 Ireland Art Ready to Frame Matted Prints | Harvest Pictorial Co. Ltd.
Ireland Art, Matted Ready to Frame 5 x 7 inch Prints. Ireland Art, Matted Ready to Frame Prints. 4 selected images from the outstanding Ireland Art series in Matted ready to frame 5 x 7 inch photo frame sizes. This size of frame is readily available as a standard photo frame size in a range of textures colours and timber types. 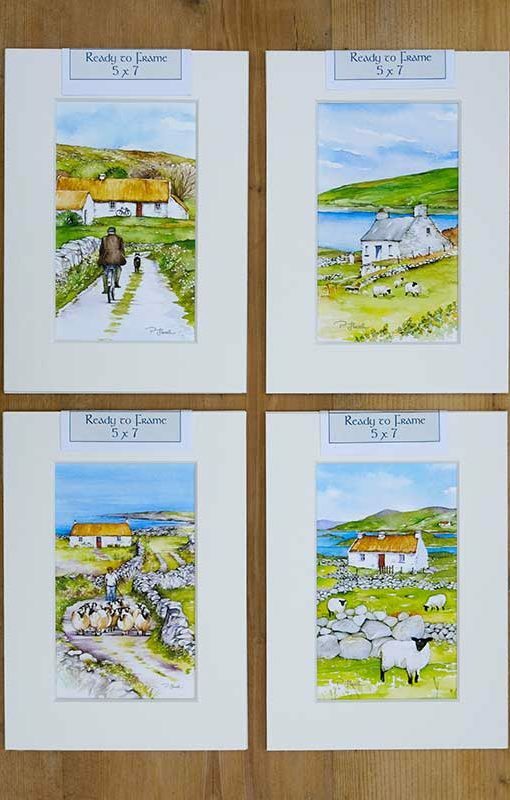 4 Ireland Art pictures can look amazing as a group collection in line or 2 up 2 down hanging. This collection of specially selected Irish artwork would make a wonderful, any occasion, Irish gift for friends and family. Images may vary but all will be from the amazing Ireland Art, Artwork series.